For the past decade, Afghanistan's presidential elections have been plagued by corruption and fraud, both from foreign countries and from within its own government. The United States has had a military presence in Afghanistan since 2001. Now, many Afghan citizens think it's high time for America -- and the rest of the world -- to get out of their country. 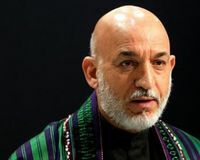 In 2009, after President Hamid Karzai was re-elected, the U.S. and other nations accused him of fraud. In turn, Karzai said the U.S. was trying to interfere in the democratic process. And now that Karzai is stepping down, as he is constitutionally obligated to do, the danger of corruption in the next election is only going to increase. We urge you Mr. President to honestly support us in electing our next President through free and fair elections. We request you not to interfere in the election and to prevent all kinds of intervention in it either by foreigners or by internal elements including the on-duty government officials. The people of Afghanistan deserve the right to honestly elect their new leaders. Will you join Afghan Youth and sign the petition demanding an equitable 2014 election?